Police are looking for this blue Subaru WRX sedan with the registration plate 877 WJV after it was stoln form a Southside man on Monday. POLICE have released a description of the two alleged carjackers who bashed and dumped an 18-year-old Southside man on the roadside while test driving his car. Police allege the men stole the car after demanding cash from the owner, then bashing and dumping him on the side of Inglewood Rd, Monkland. One man is described as Caucasian in appearance, aged in his mid-20s, of a medium build with an olive complexion and black hair. 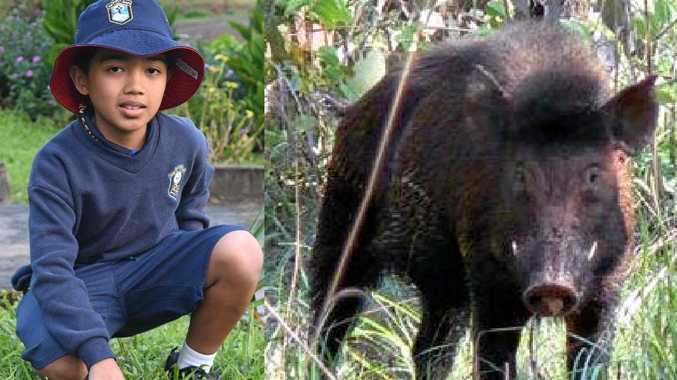 The other man is described as Aboriginal or Torres Strait Islander in appearance, aged in his late 20s, of a medium build with a dark complexion and black hair. 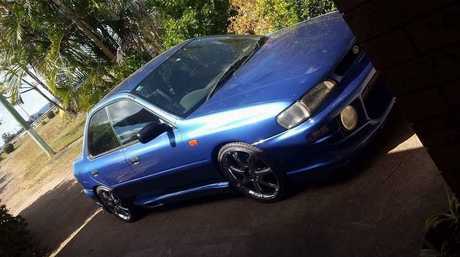 The vehicle (pictured) is a Blue Subaru, Queensland registration 877-WJV. A CCTV image of the stolen Subaru. The vehicle has masking tape on the driver's side of the front bumper. The 18-year-old suffered minor bruising to the face. Police are looking for this blue Subaru WRX sedan with the registration plate 877 WJV after it was stolen from a Southside man on Monday. A PHOTO has been released of a car still missing after carjackers turned up to an 18-year-old Southside man's house on Monday morning to test drive the car he had advertised for sale. Police allege the men stole the car after bashing and dumping the owner on the side of Inglewood Rd, Monkland. The car was sighted in the area on Monday morning, but the men driving the car got away and are believed to have headed south towards Brisbane after police were dispatched to the Bruce Hwy and could not locate the vehicle. 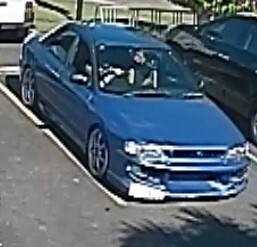 The car, pictured above, is a blue Subaru WRX sedan with the registration plate 877 WJV. The Gympie CIB is investigating the incident and asking for anyone who has any information relating to the incident to contact Crime Stoppers on 1800 333 000. POLICE are investigating a terrifying act after a Southside man was bashed and dumped on the side of the road when two men came to test drive the car he had for sale. The 18-year-old owner left his home early on Monday morning to test drive the Subaru WRX sedan with the potential buyers, but hours later when he had not returned his mother became worried and alerted police. Gympie police said reports came in about the car loitering around the Department of Transport and looking suspicious around Noosa Rd at 10am. At 11.12am, the 18-year-old car owner was seen walking in the Monkland area after allegedly being bashed and dumped near Nick's Ready Mix on Inglewood Rd. The two men had taken the car. A concerned member of the public, who saw the blue Subaru near the Gold Nugget on the Bruce Hwy at 11.48am, began following the vehicle and supplied information to the police. The driver was advised to stop following the vehicle for safety reasons. Police dispatched patrol cars to head south from Gympie and north from Pomona, but the vehicle and drivers could not be found. The Gympie CIB is investigating the incident. Police are asking for anyone who has any information relating to the incident to contact Crime Stoppers on 1800 333 000.